So after having been on some intense antibiotics, my body is being really weird. Add to that the two betamethasone shots and everything about my bio functions just feels off. I want to talk about kombucha during pregnancy. The nay-sayers all cite the potential alcohol content in self-fermented foods, as well as the potential for foreign bacterias. I’m convinced now that cleanliness goes a long way, which we all know- sterilize your jars and utensils, and you’re left with only the desired cultures. Furthermore, I’m beginning to think that had I been taking a couple ounces of kombucha every day, the infection may have been fought off naturally by my body instead of requiring antibiotics to do the trick. I can’t know that for sure, but I can theorize. In any case, it’s always good to err on the side of caution. I think in moderation so long as you’re only fermenting 14 days and testing the alcohol content and it is virtually non-existent (less than .01) then, I don’t really see an issue with kombucha in that the rewards seem to outweigh the risks. But- IM NOT A DOCTOR, so this is just my opinion and it’s worth what you paid for it. So Mama’s not going to be swigging down any of that batch… But my husband may enjoy it. I’ll stick to my oral probiotic capsules for now while I brew a fresh batch. I did want to show you how my SCOBYs have grown though! 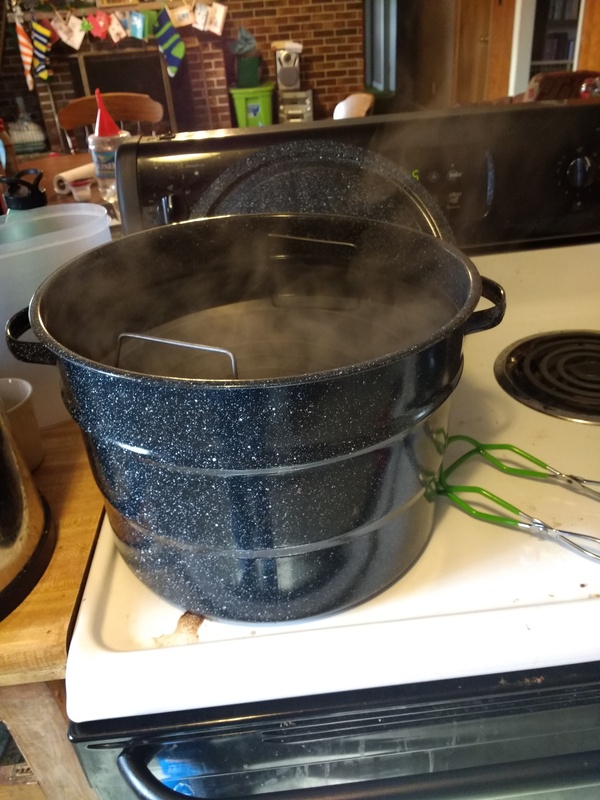 Here is the start of my fresh 1 gallon batch I started Sunday. 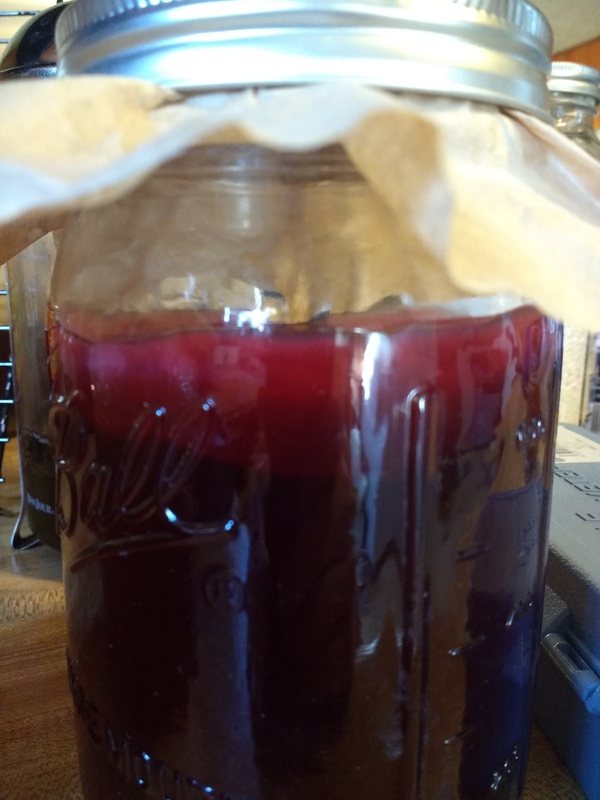 Overall, growing SCOBYs is really easy. 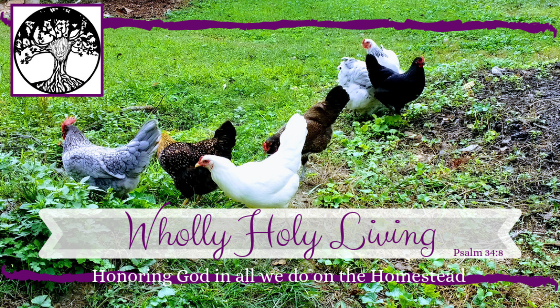 As easy as pouring something in a jar on your countertop and forgetting about it for a month. So that little experiment went rather well. We’ll see how this batch turns out as far as taste in another week or so. 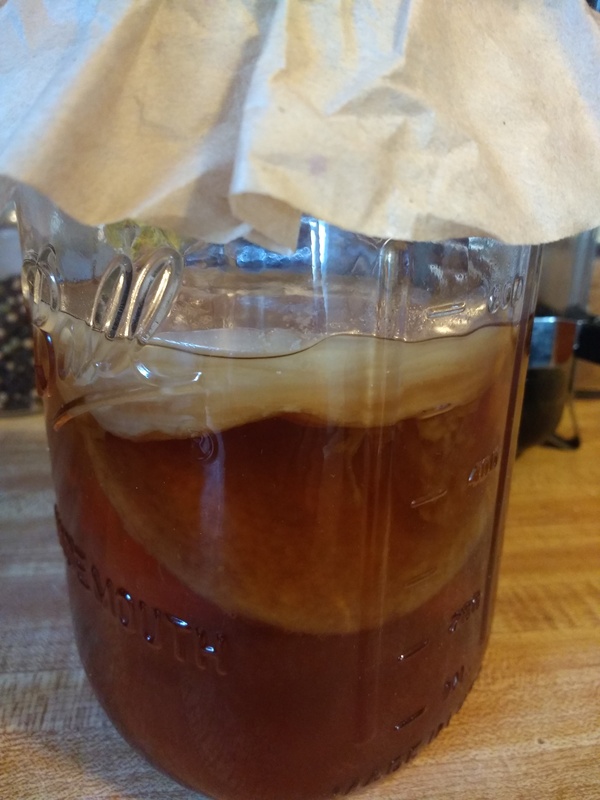 Beautiful Scoby, congratulations! BTW, properly brewed kombucha doesn’t contain more than 0,55 of alcohol. I think, you just ferment it for too long. I have been experimenting for a long time and for me 7 days of primary and 7-10 days of works perfectly. When it comes to curing a cold, I would rather eat homemade sauerkraut. It contains loads of lactobacteria (as opposed to kombucha) and vit C.